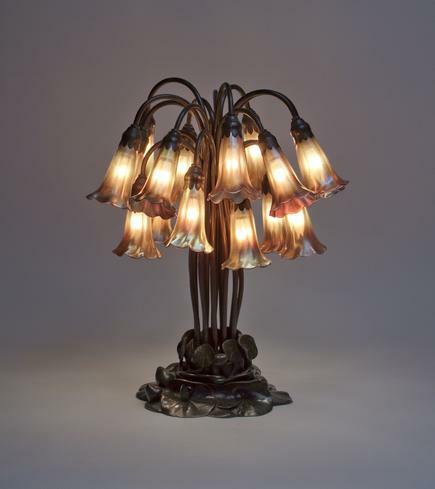 A spectacular example of a Tiffany Studios Lily Lamp, comprising eighteen gold Tiffany favrile glass Lily shades with pale lavender and blue iridescence and ruffled rims, on a bronze "Lily Pad" table base in rich brown patina with chased design of lily pads. 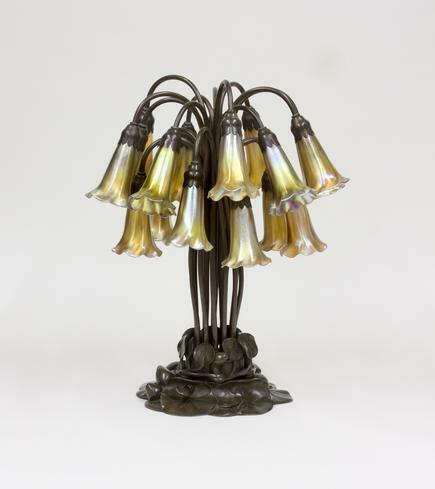 Tiffany Studios was awarded the grand prize after exhibiting an 18-Light Lily Lamp at the 1902 World's Fair, held in Turin, Italy. A spectacular example of a Tiffany Studios Lily Lamp, comprising eighteen gold Tiffany favrile glass "Lily" shades with pale lavender and blue iridescence and ruffled rims, on a bronze "Lily Pad" table base in rich brown patina with chased design of lily pads. 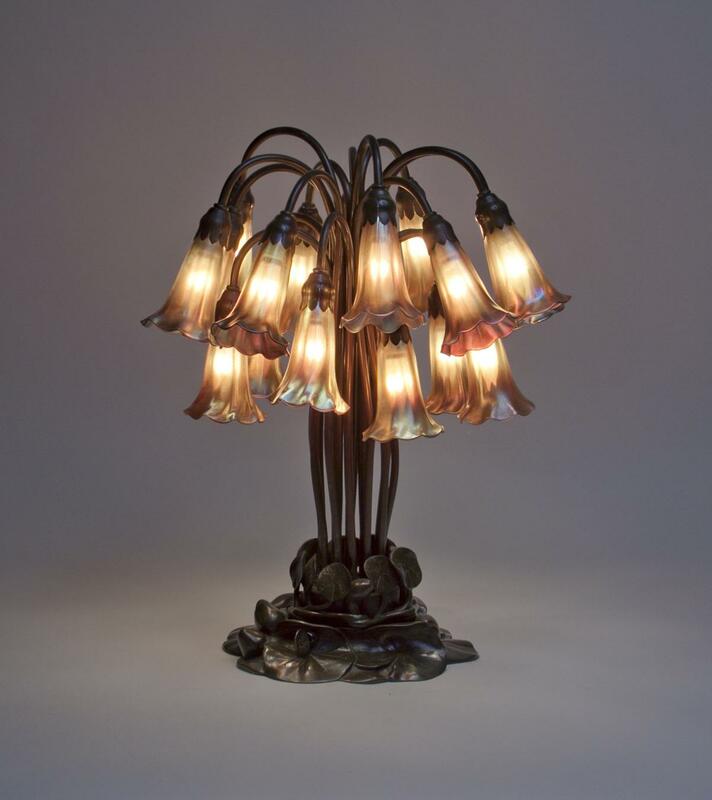 Tiffany Studios was awarded the grand prize after exhibiting an 18-Light Lily Lamp at the 1902 World's Fair, held in Turin, Italy.